Last year our sanctuary began to fill up, so we began a fund raising campaign to prepare for a sanctuary expansion project that would be built over our old patio. Our church responded generously and 6 months ago we broke ground on our 250 seat sanctuary expansion! 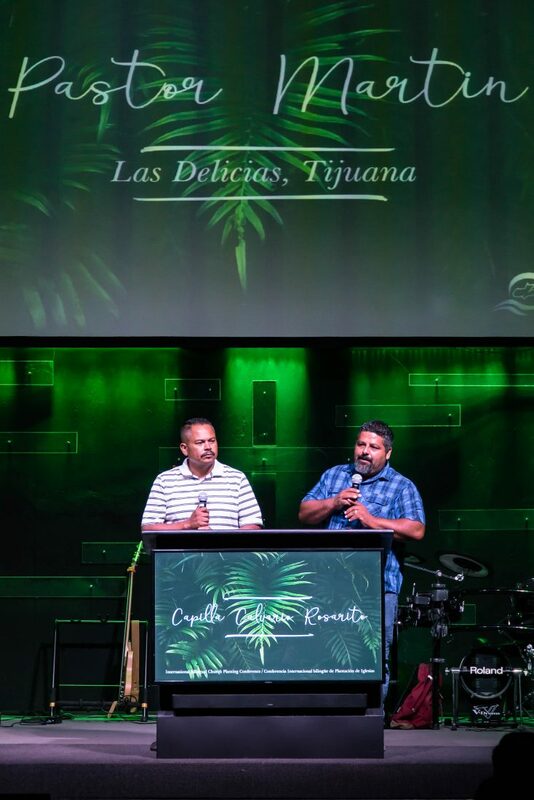 Last month, we were blessed to have our grand re-opening and what a celebration it was! It was such a blessing to see our church families smile and rejoice, as they entered into the courts of our new sanctuary area with praise. On our very first weekend, we had over 600 local adults for our third and final service, a new single service church record! This newly completed expansion will serve our church body in a number of vital ways. First off, the new facility serves as our new family zone! Although we have a fantastic children’s ministry with many dedicated teachers, some of our parents enjoy keeping their children with them during the church service. 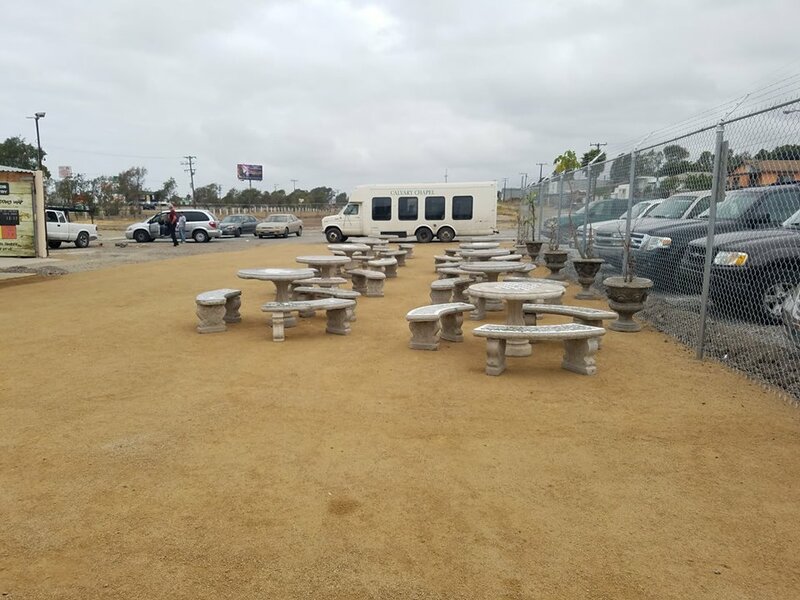 To meet that need, we now have special family zone seating in the back where the little ones can enjoy their freedom as their parents worship! Our new expansion also comes with handy removable doors, that shut to transform the space into a large standalone classroom designed for weekly studies, meals, and other gatherings. 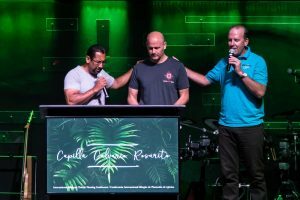 Already, our Celebrate Recovery Ministry, young adults, and Marriage ministries have claimed it for their weekly meetings, and the results so far have been fantastic. 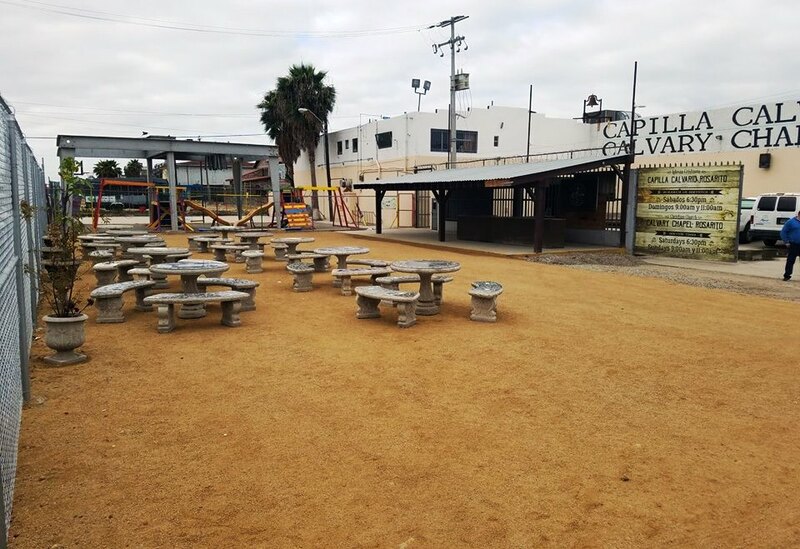 Another huge blessing of this expansion is that it has given us a brand new 2nd level 3000+ square foot patio for fellowship. Called the upper room, this breezy new patio will eventually be covered and equipped with restrooms and bbq facilities for the church to enjoy! 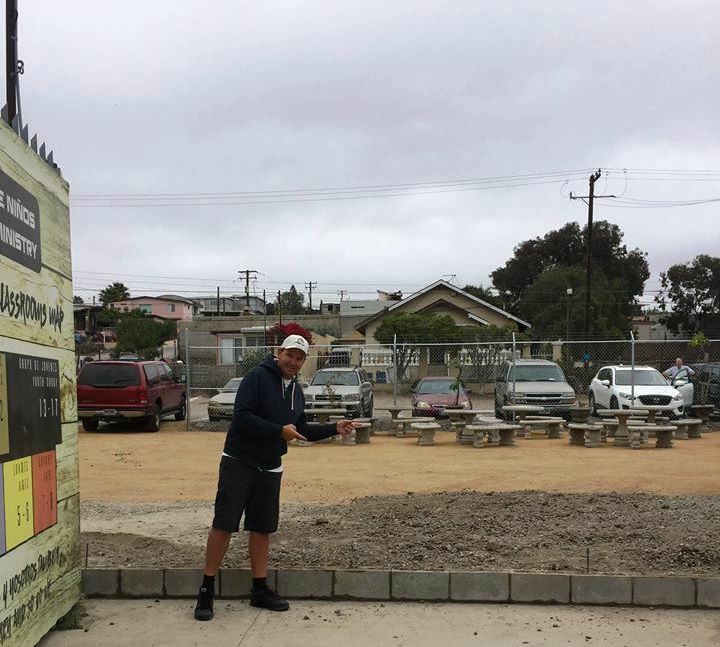 In Matthew 16:18 Jesus said “I will build my church”, and slowly but surely, we have seen the Lord do that here in Rosarito. 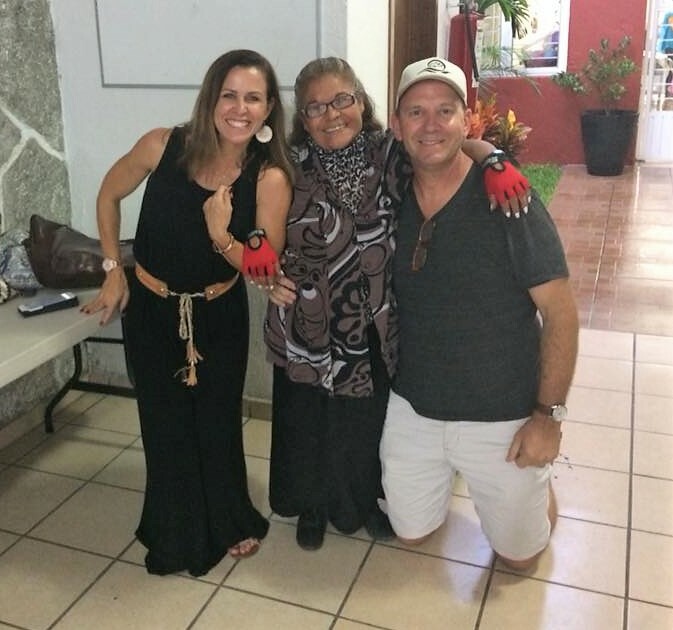 We are so thankful for not only our friends and family here in Mexico, but for you, our precious ministry partners! We have seen God do great things here, and we are honored and blessed that you are co-laborering with us. Thank you once again for your love, prayers, and financial partnership! #1- That God would fill up the new seating that he has provided in our sanctuary expansion with new believers that we could love and disciple! #2- Praise the Lord for our new batch of church planters that started a new year of classes in February! I hope that you have had a great start to the New Year! 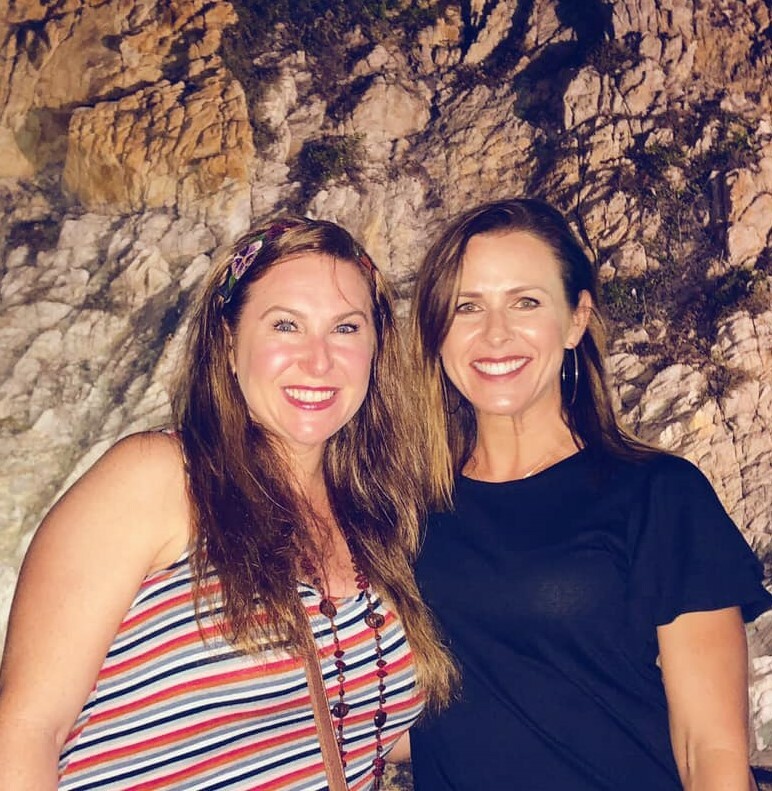 Our life is busy just like yours, and my wife Sarah got to begin the new year by traveling to Acapulco Mexico (home to the famous cliff divers) to teach at a women’s retreat! 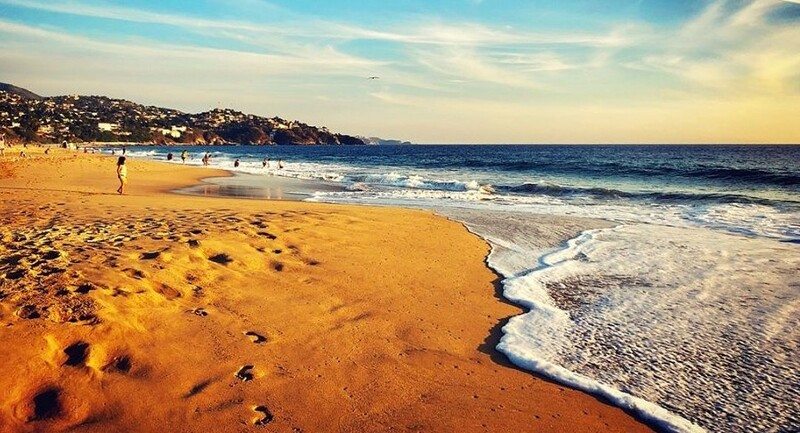 In this update, I want to share the highlights of her trip with you! 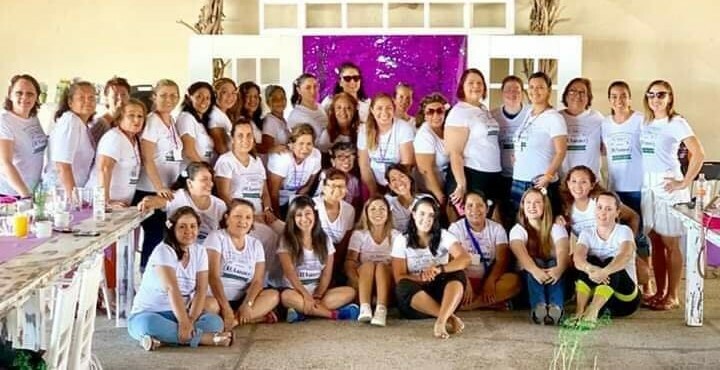 Sarah was able to travel south to the beautiful beach town of Acapulco to teach at the women’s retreat of the church of our good friends Stacy and Hassan Villegas! 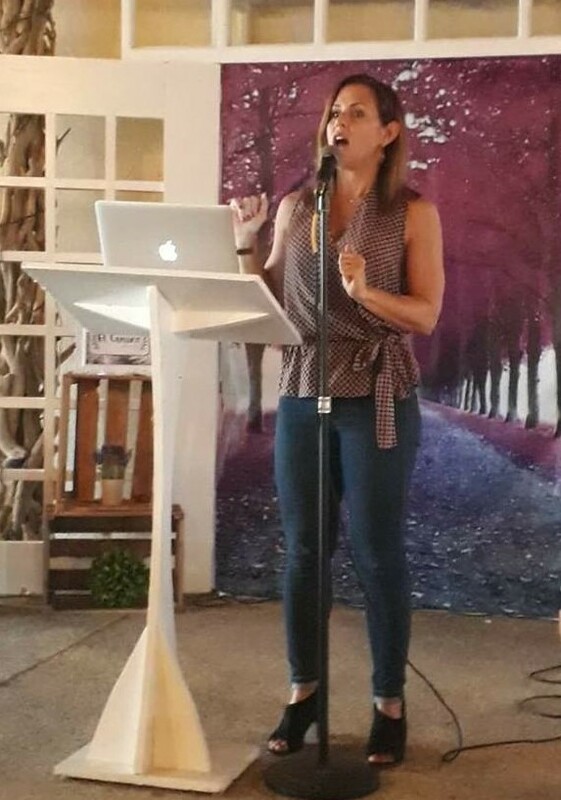 The theme of this conference was “El Camino” (The Way) and Sarah was blessed to be the featured speaker! 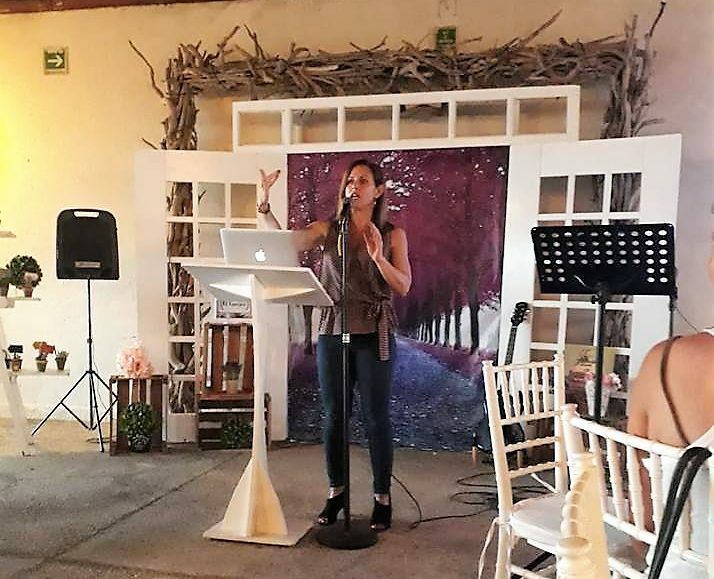 Sarah’s main two teachings were titled “Packing Lightly” and “The Detours of Life!” While talking about life’s detours, Sarah was able to share about how we can deal with God’s unexpected detours come crashing in. In those challenging times, we need to remember God’s faithfulness in the past and believe that He will not only get us through life’s detours, but even use them for good! 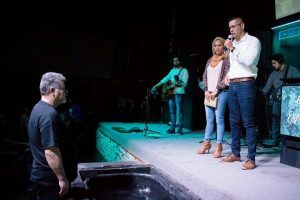 Sarah was especially encouraged visiting Acapulco, because even though it is one of the most dangerous cities in the world, God is moving powerfully and saving people, there and using this local church in amazing ways! 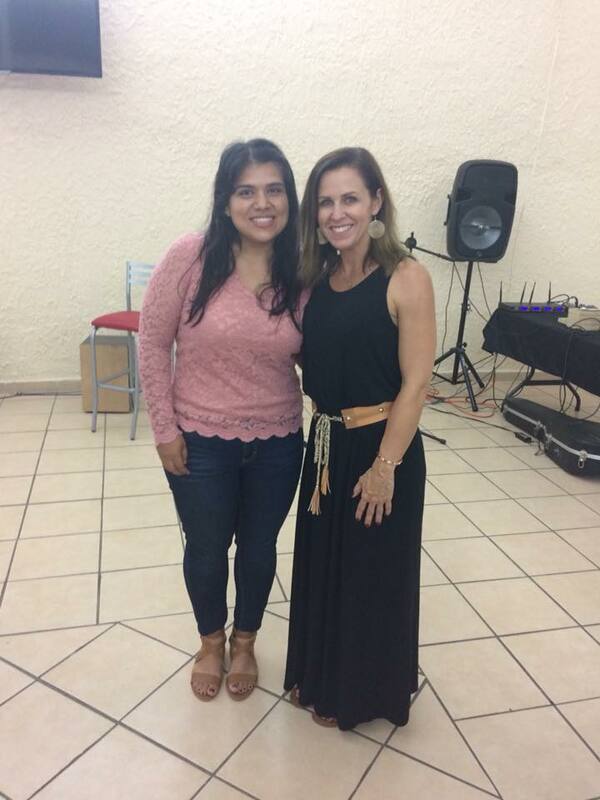 Sarah made some great new friends, and was a blessing to each woman in attendance! 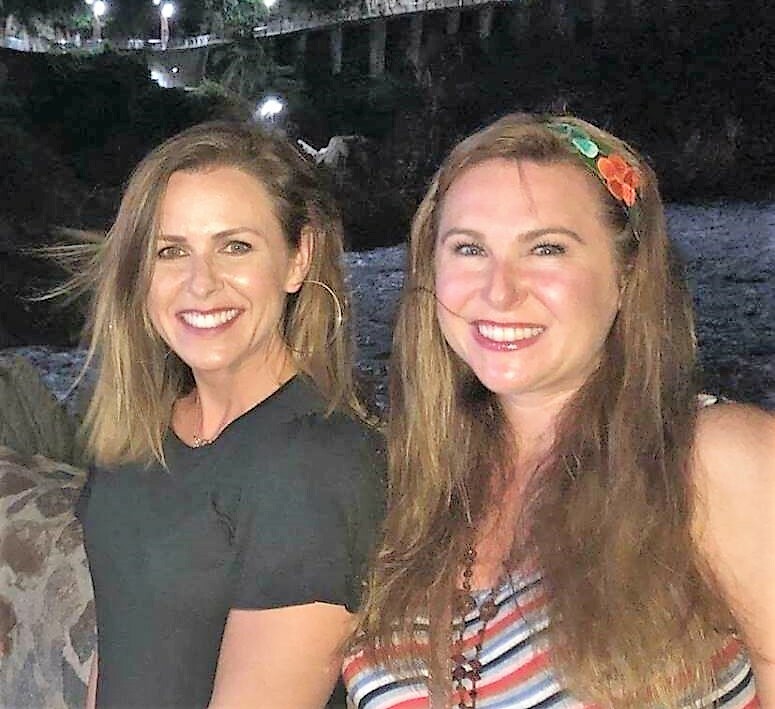 I am so thankful to have Sarah as not only my wife, but a very gifted lady who is willing to use her gifts to bless ladies not only here in our hometown of Rosarito, but in this beautiful nation of Mexico! I am so thankful that God chose her to be my partner in our missions journeys here in Mexico. 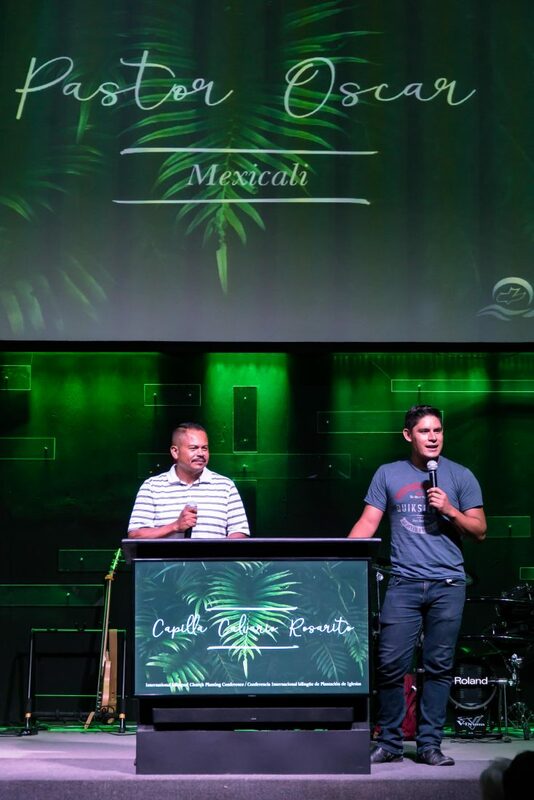 I am also thankful that God has chosen you to partner with our family and ministry in the mission field of Mexico. God has truly done beyond what we could have ever ask or think, and we are blessed to have your partnership on this journey! #1- That God would bless our new church planting class of 2019 beginning in February! 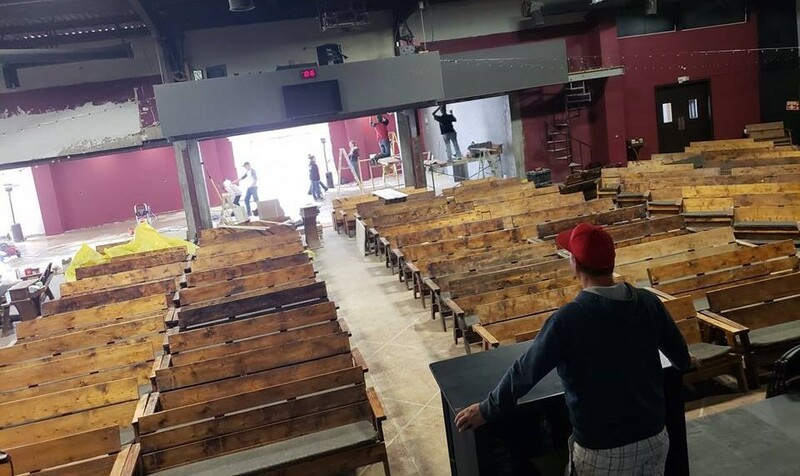 #1- Praise God for our new 250 seat sanctuary expansion that we are opening up at the beginning of February! 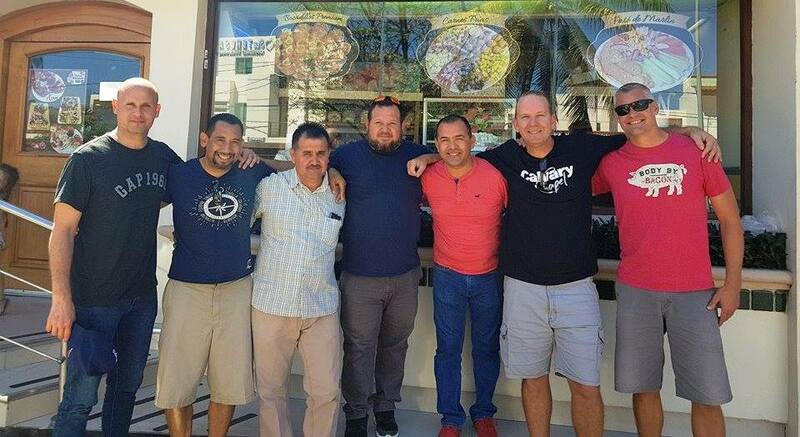 #2- Praise the Lord that our Oaxaca Church Planting team has safely arrived in Oaxaca and has begun their ministry! PS: SPECIAL INVITATION! 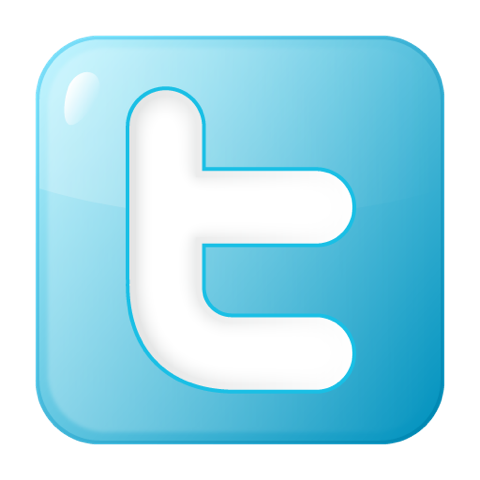 Do you know that 90% of the New Testament takes place in modern day Turkey? 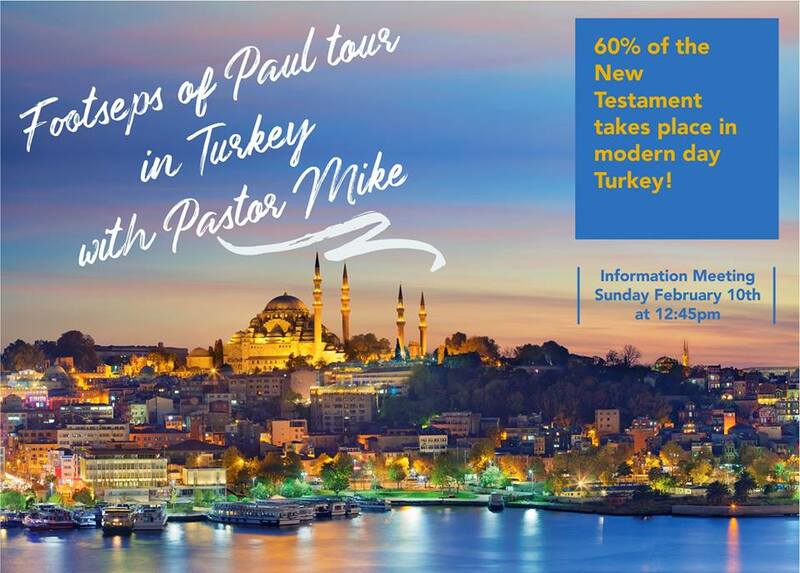 I want to invite you to join me as we follow in the footsteps of Paul the Apostle and take a tour to the Holy Land of Turkey! 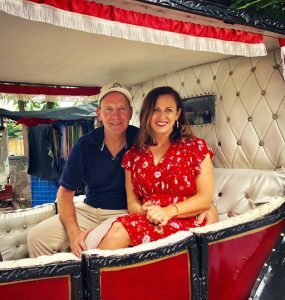 The trip will take place in November of 2019 and you are invited to join Sarah and I on this life changing tour, please contact me for more details! 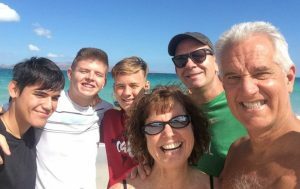 Vincent Family December Ministry Update! We hope that you and yours had a wonderful Thanksgiving! As we approach the end of the year, this is a wonderful time to reflect back on God’s faithfulness and blessing. 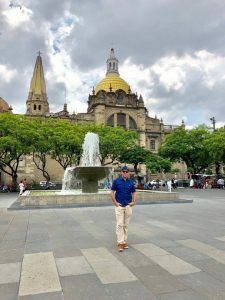 In this final update of 2018, I want to give thanks with you and for you as God allowed us to partner together to do some great things here on the mission field of Mexico this year! 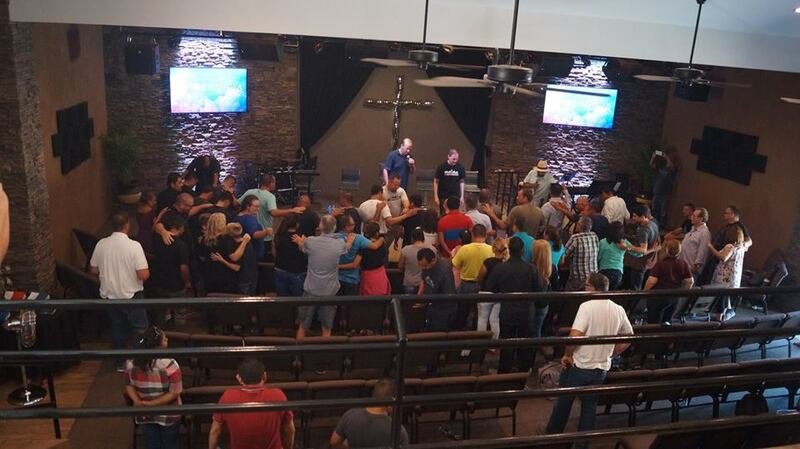 #1- We witnessed over 400 first time professions of faith this past year during our main church services. #2- Our daughter Grace graduated from high school and enrolled in college courses at Southwest Community College in San Diego! 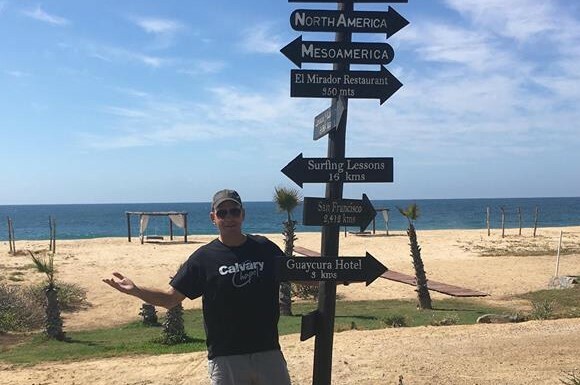 #3- Mike and Sarah were able to travel to Southern Mexico to take advanced Spanish language Courses! #5- Our son Daniel went on two missions trips and committed to serving at the church 6 days/nights per week! 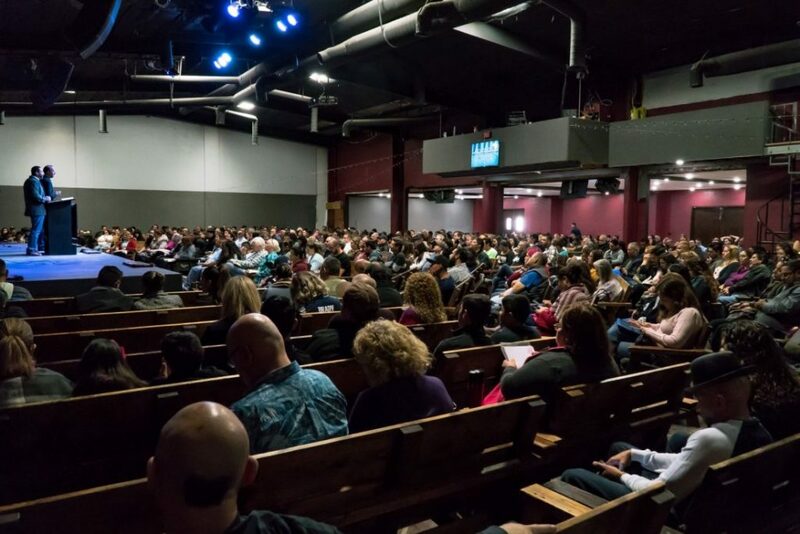 #6- Our church welcomed over 1000 first time local adult guests to our weekend church services! 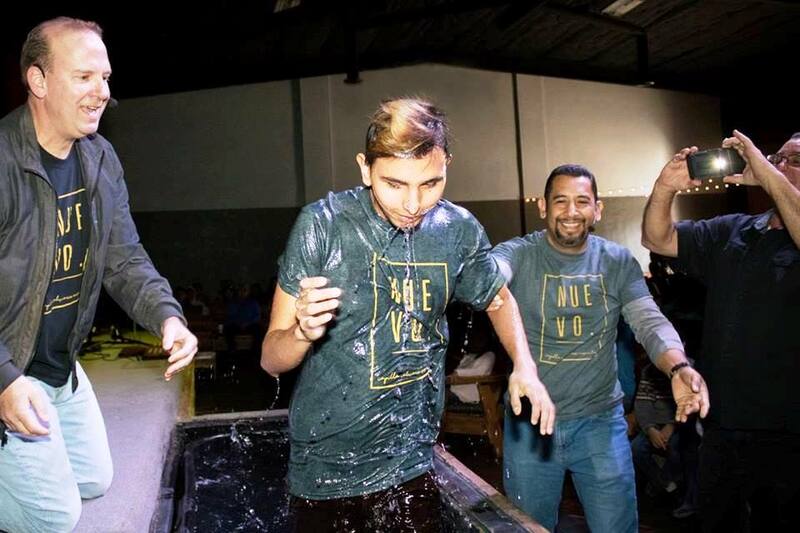 #7- Nearly 200 new believers publically exhibited their faith in Jesus Christ through the waters of baptism. 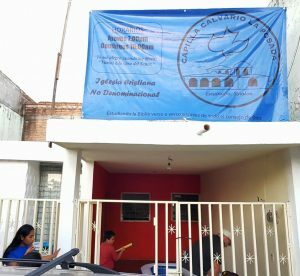 #10- Our church was able to reach the least of these in our community, local orphanages, and those living in the city dump through mercy and medical ministries! We want to thank you for partnering with our family this past year. 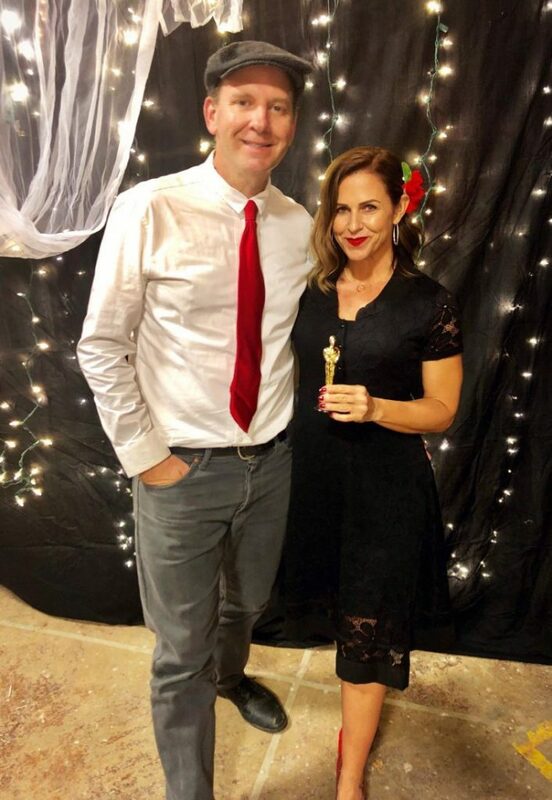 2018 was our most blessed and fruitful year ever, and we look forward to partnering together in 2019 and asking God to do even greater things! May God bless you with a Jesus filled Christmas and a very happy New Year! 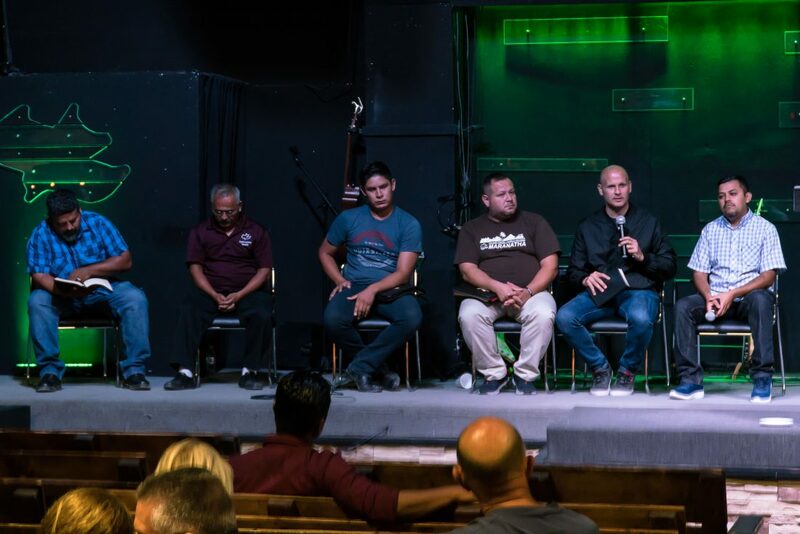 This past month, our church was blessed to host a church planting conference. 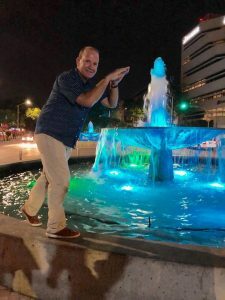 In this update, I wanted to tell you about the great things that God did during this conference. 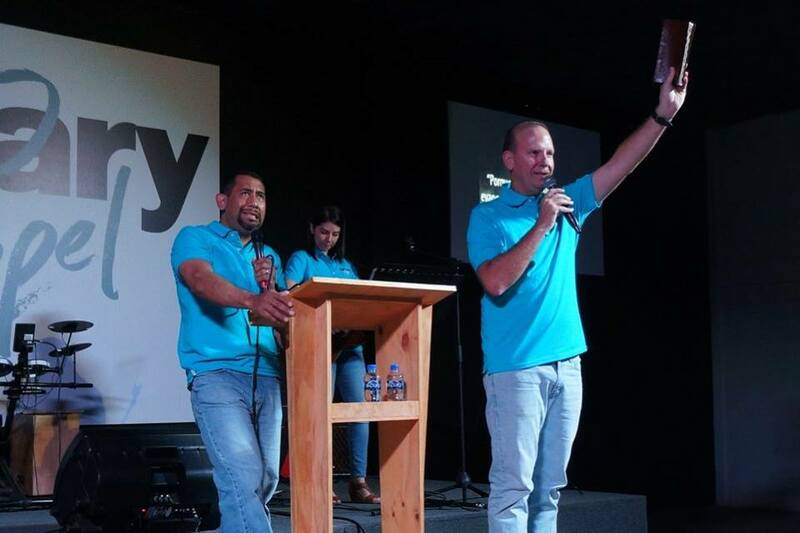 Our church planting weekend began on Friday evening as we had 12 of our church planers return from the field to share with our church congregation about the great things God has done! Most of our local church planters shared, along with several who flew in for this special event. Each one gave a testimony along with some prayer requests, along with thanking our church for their support. 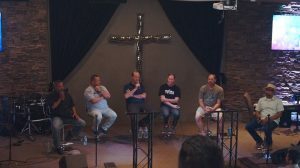 A special highlight for me was listening to a church planting panel made up solely of our church planters. I felt like a proud papa as I sat back in the audience and heard our church planters answer question after question from our church body with wisdom and clarity! The evening was well attended as many in our congregation personally support their friends that have been sent out to church plant. 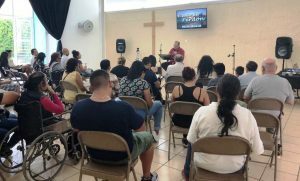 While the Friday evening conference was open to our local church, all day Saturday we hosted a bilingual conference that was open to any and all pastors and leaders that were interested in learning about church planting. For the first time, this conference was held not in our church facility, but at one of our church plants located in a beautiful town called La Mision about 30 minutes south of us! 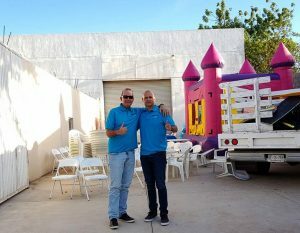 This two-year-old church plant, (Liberty Ranch Calvary Chapel) has not only flourished in their community, but they have already launched out and sent out their own church plant to a community located in the Southern Baja surf town of Todos Santos. We were blessed as two of our ministry partners traveled down from the US, to be our featured speakers at the main conference. 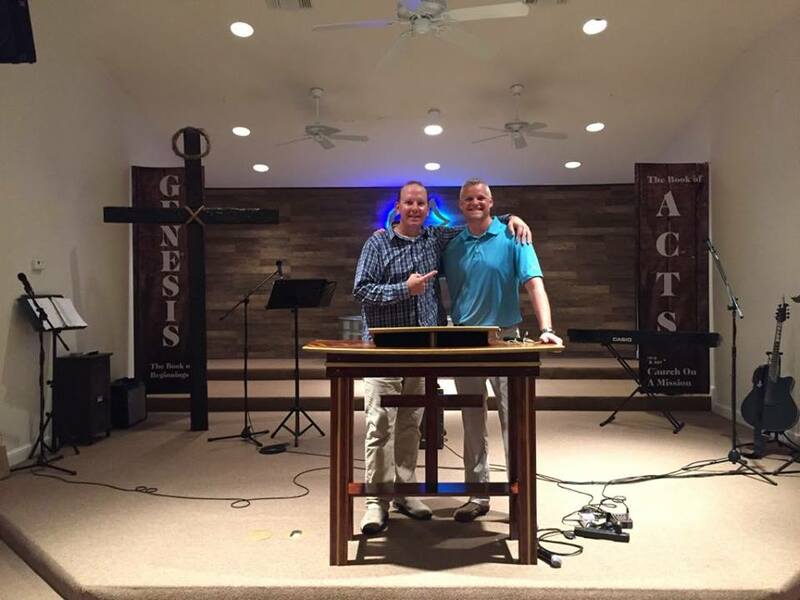 Pastor Bruce Zackary (Nexus Calvary in Camarillo) has been a long time friend and mentor to me. Bruce wrote the Calvary Church Planting Manual which is the text we use in our church planting course, and he partners in several of our church plants. Pastor Bruce gave us a powerful word and challenged us to be faithful to our calling. 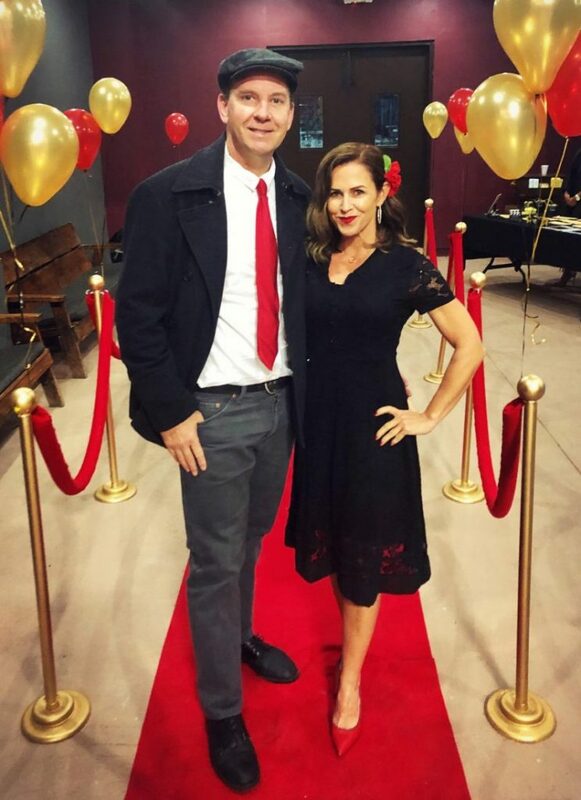 Pastor Derek Neider is the pastor of Calvary Chapel in Las Vegas! 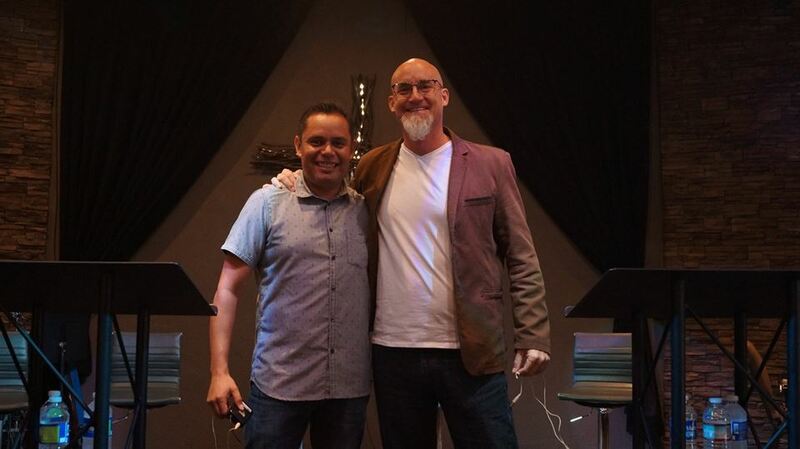 Besides being a close personal friend, he is also a partner with us in several of our church plants. Pastor Derek shared a humorous yet Spirit-filled talk that left all of us blessed. 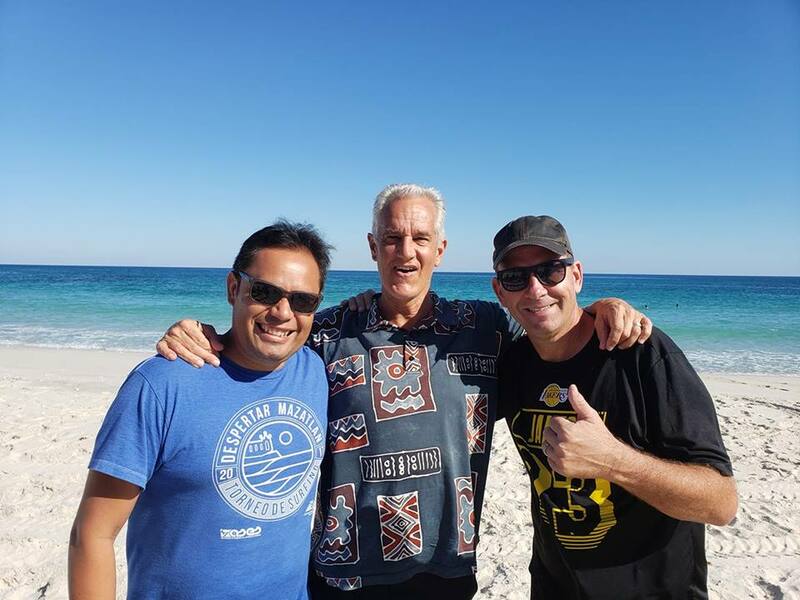 Both of these Pastors have not only a deep love for Mexico but a passion for church planting and seeing the Kingdom of God grow through the entire world. We are honored to have them as speakers and ministry partners. 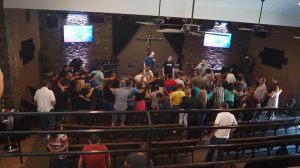 For those in attendance at the conference that felt called to plant, they left encouraged. For those not sure, they left praying for God’s perfect will for their life and family. 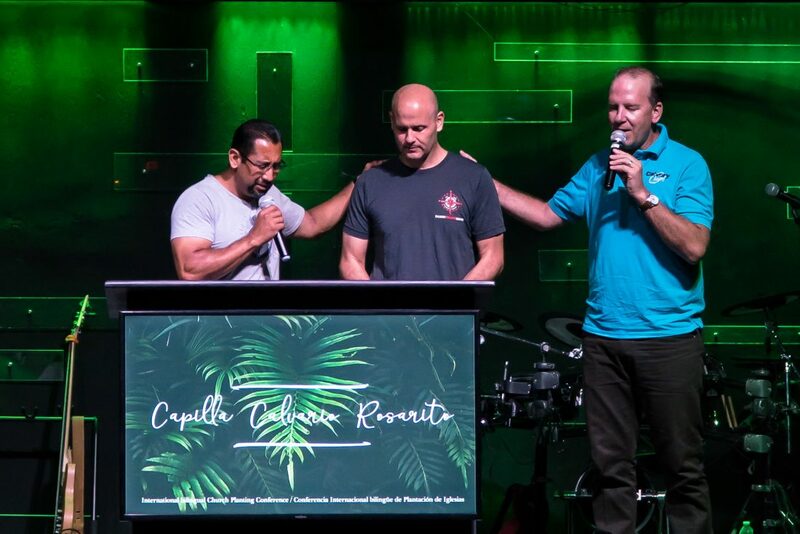 We ended the conference by having those that felt called come forward, where our leadership laid on hands and prayed for God’s perfect will and timing. 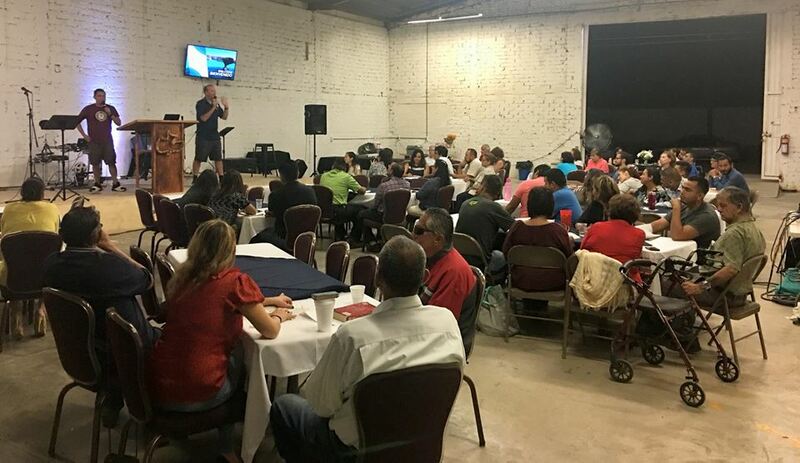 The following week, our church began our new semester in our church planting class. 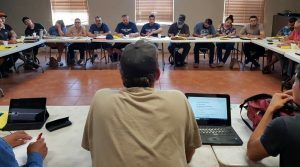 With over 30 men and women enrolled this semester, (including several new couples) we are excited to see God’s church planting plans unfold through these faithful believers! It is my hope and prayer that you are encouraged by this update. 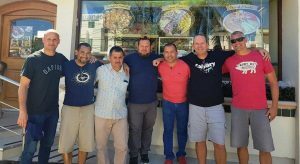 We are co-laborers in the ministry, and it is an honor and blessing for me that you have chosen to partner with us in this amazing work! Thank you! That God would speak to and call those in our new church planting course! 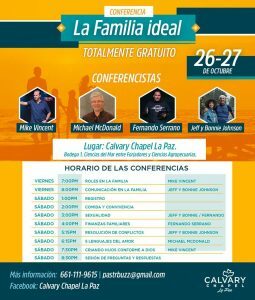 That God would provide financially for our family and church in Rosarito! Praise the Lord for a blessed and fruitful church planting conference! 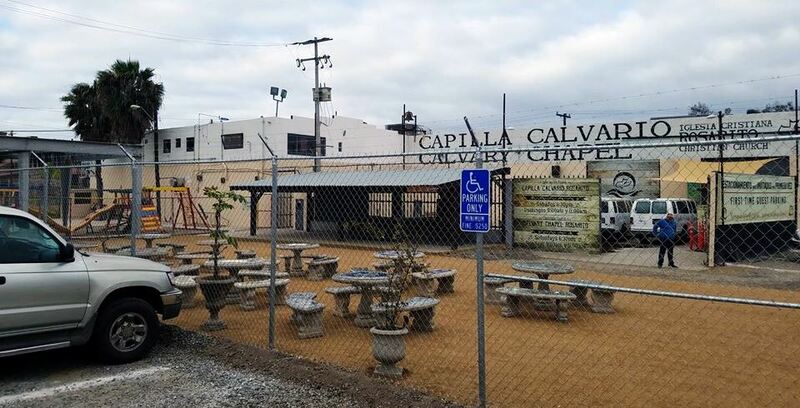 Praise God for provision and for the progress on our church’s new patios and sanctuary expansion! 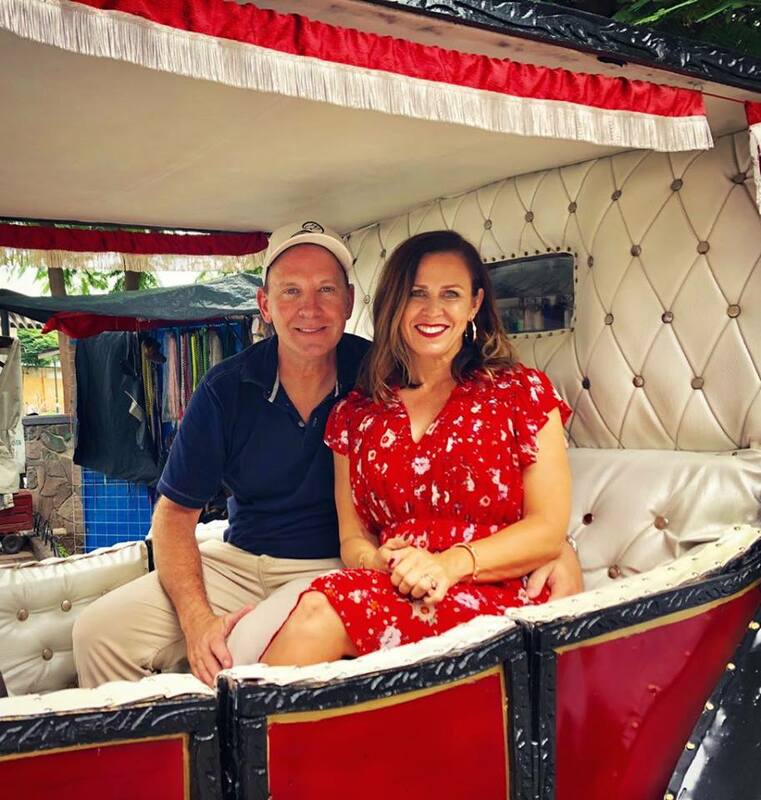 This past month, Sarah and I were able to celebrate our 21st anniversary by traveling south to the amazing city of Guadalajara! Guadalajara is not only beautiful and historic, but it is also the 2nd largest city in Mexico with over 8 million residents! 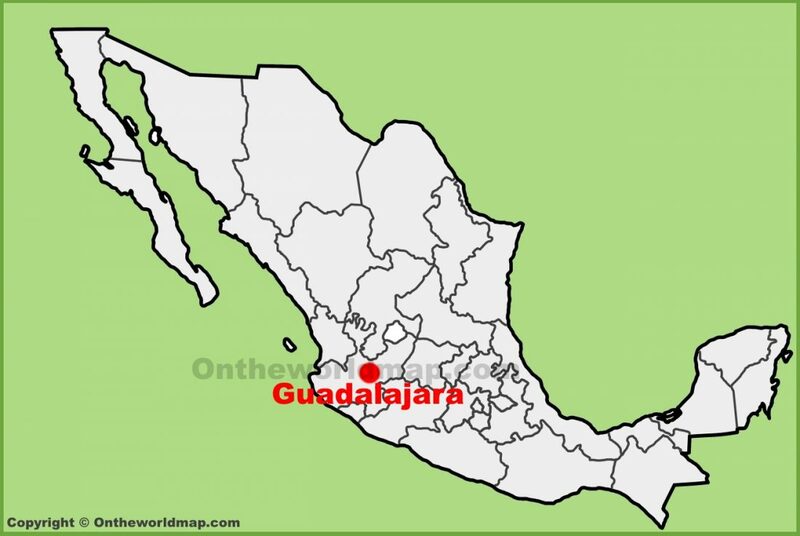 Downtown Guadalajara is also famous for their Spanish language courses. To take advantage of that, I attended a Advanced Spanish language course, which I attended each morning from 9am to 1pm! This small international class had 5 students, 1 each from Morocco, Poland, Germany, the US, and Mexico! (Me 🙂 ) Although the class was a challenge, studying the different advanced verb tenses each day was beneficial and I learned a lot! Throughout the week, we were able to spend quality time ministering and praying together all the while enjoying the delicious regional cuisine! A special highlight for me was to teach their church’s midweek service in Spanish! 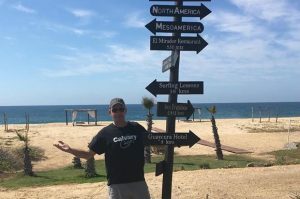 Although I have been fluent in Spanish for a few years, because we are a bilingual church here in Rosarito, I rarely get the opportunity to teach only in Spanish! I taught on forgiveness and the 30 in attendance seemed attentive and I didn’t get to many confused looks, so I guess they could understand me fine. Sarah was also able to host the ladies in the fellowship for a ladies tea! During her teaching, Sarah shared her testimony here in Mexico, and using the Psalms, encouraged the ladies to believe in and follow God’s good plan for their lives! The ladies had a special prayer time afterwards and the ladies left encouraged and many of their hearts were touched by the Lord! 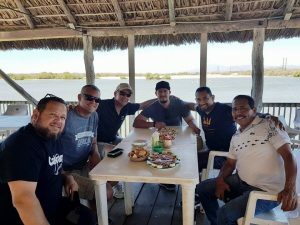 We consider it a huge privilege to travel to our church plants and when we do, we not only represent our church, but you as our ministry partners. We want to once again thank you for partnering with us as your missionaries here in Mexico! It is through your prayers that God meets our spiritual needs, and through your financial giving that God provides our physical needs. We love you and appreciate your partnership! 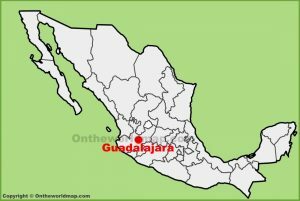 #1- That God would continue to bless the church plant in Guadalajara! 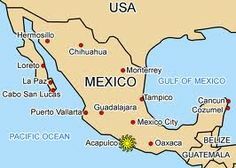 #2- That God would provide financially for our family and church in Rosarito! #1- Praise the Lord for a blessed and fruitful anniversary trip to Guadalajara! #2- Praise God for provision and for the progress on our church’s new patios and sanctuary expansion! For your convenience, you may consider giving through electronic funds transfer or direct deposit. 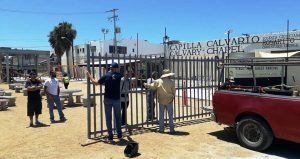 Simply go to our mission’s website, or insert this web address into your web browser, http://sgwm.com/blog/ministries/calvary-chapel-rosarito/ Next, click on the “become a financial partner” button and fill out the information. If you want your gift to go to support our family, please write “Vincent” in the “purpose of gift” section. 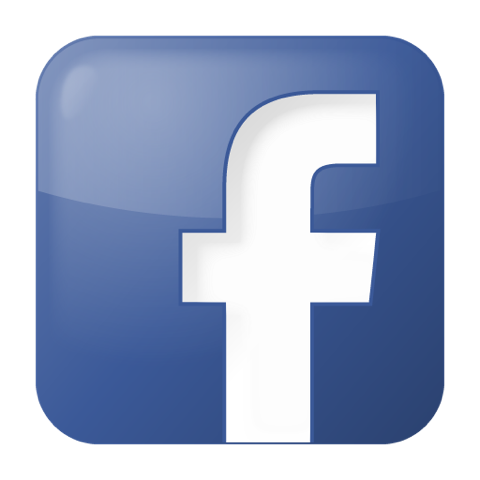 We have some exciting news to share with you. As God has continued to bless our church, we have undertaken a new building project. In this update, we want to tell you all about it! 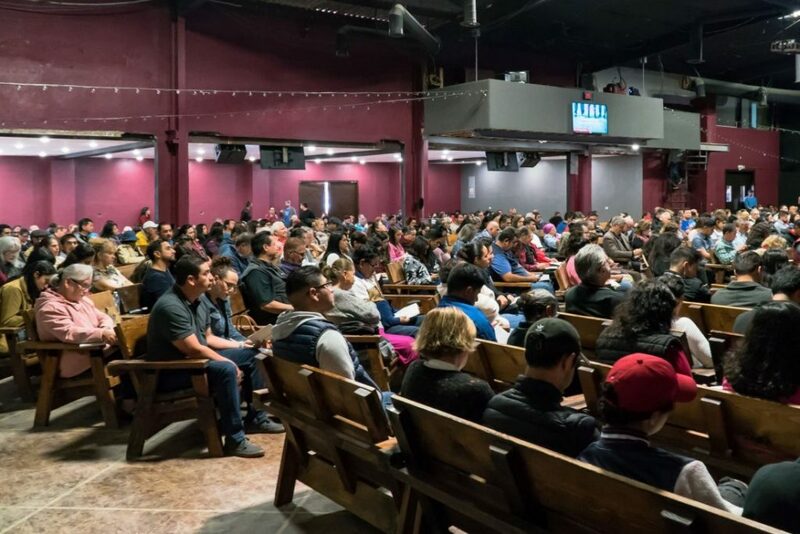 Over the years, God has continually brought first time guests and local visitors to our church. 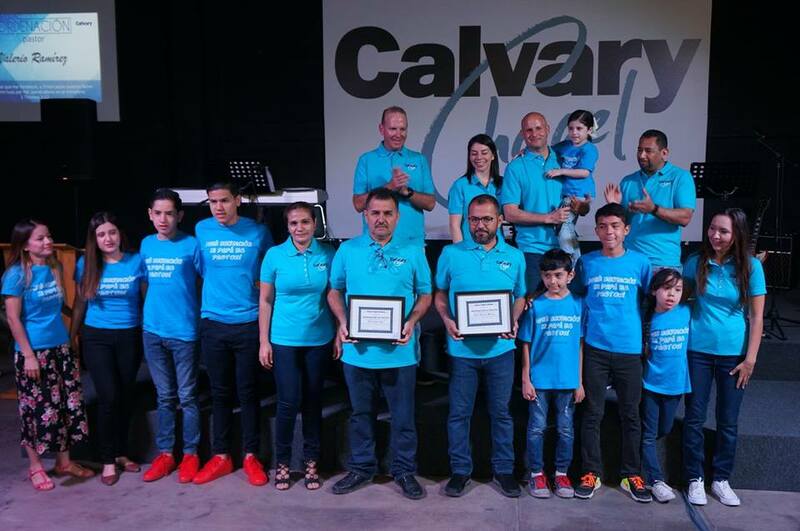 Unfortunately, we have not done a great job of keeping them, which was a focus for us last year as we began our New Believers class to plug them in and disciple them. 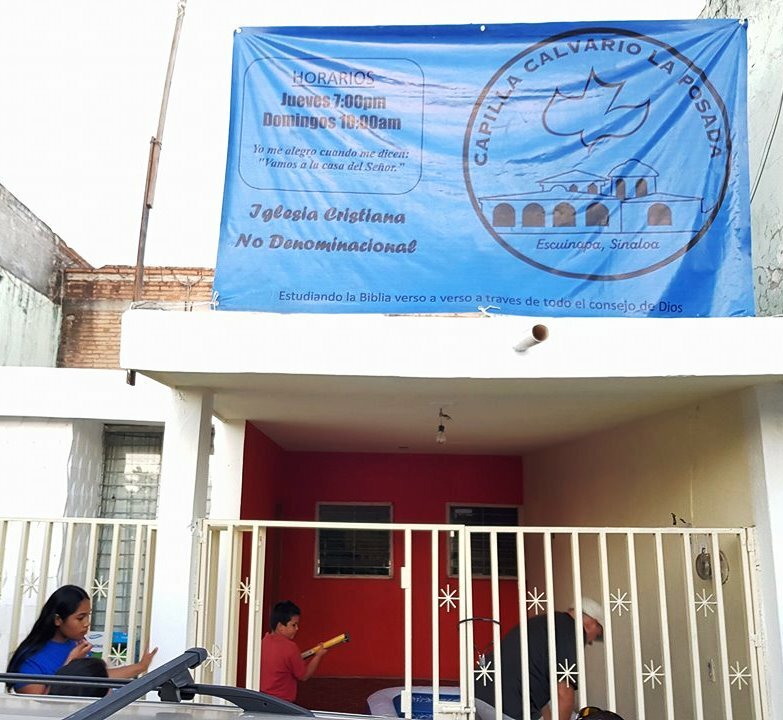 This program has been affective in retaining our guests and at present, we find ourselves in need of a sanctuary expansion and new fellowship areas. To meet this need, we are adding a sanctuary expansion and two new patios to our church facility! Stage 2 is our sanctuary expansion. If you have visited our church here in Mexico, the old patio inside of the gates and fence is going to be transformed into our sanctuary expansion. Eventually the back walls of our sanctuary will be blown out, and a 250+ seating area will be added. 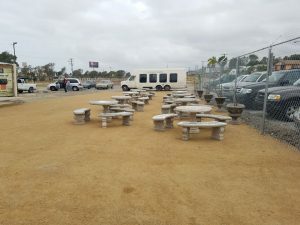 This sanctuary addition, will not only provide more space for our main services in the sanctuary, but will also have the capability of being closed off and have a self-enclosed audio and video system. 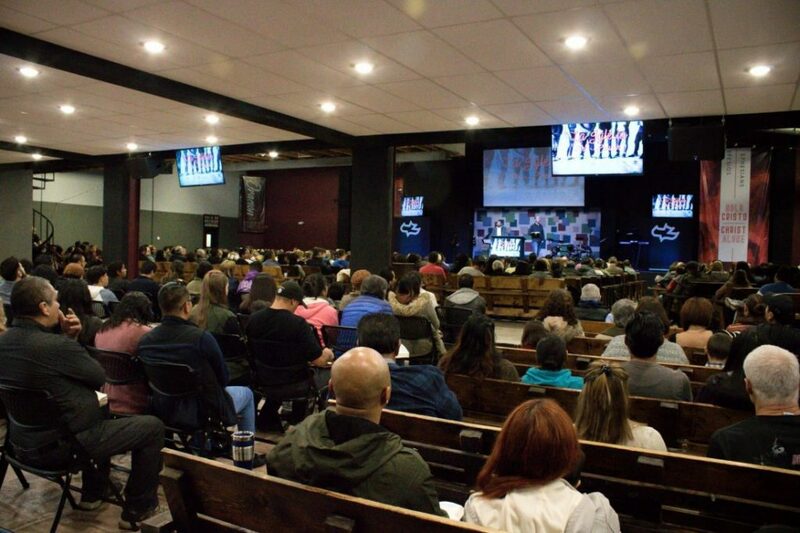 This extra room will provide for us a much needed medium size meeting room that is able to host large meetings and bible studies, and mid-sized banquets. Finally, I want to once again thank you for supporting our family as your missionaries. 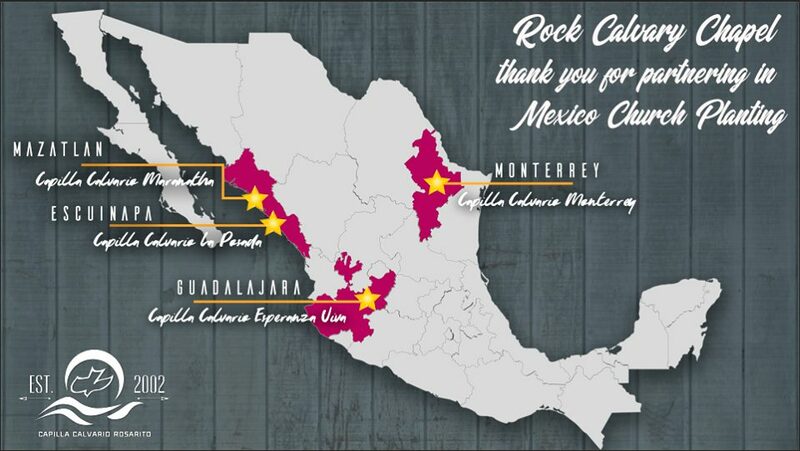 We are honored and thankful that you have chosen to partner with us and we love and appreciate you very much! #1- That God would reveal to us His wisdom and plans for this sanctuary expansion and patio additions! #2- That God would provide financially all that is needed for these projects! #1- Praise the Lord that in May we were able to complete our Spring Church Planting class with 25 students completing the semester! #2- Praise God that our daughter Grace graduated from high school this month and our son Daniel completed his sophomore year and both excelled academically! 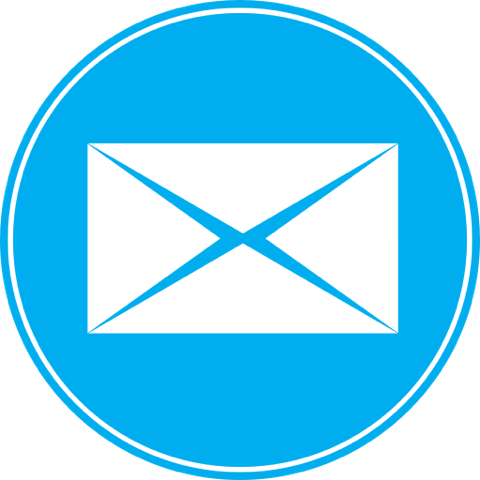 Paul wrote to his young assistant Timothy in 2nd Timothy 2:2 , “ And the things that you have heard from me among many witnesses, commit these to faithful men who will be able to teach others also.” Paul was reminding Timothy that different generations of men and women, should be trained up to disciple and instruct new generations of men and women in a spiritual chain! 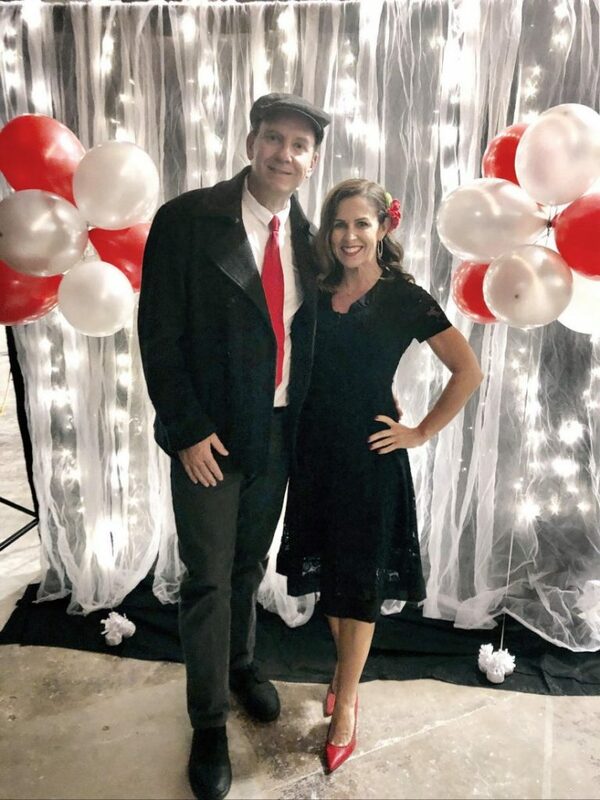 A long time dream of mine that relates to this process is being fulfilled for the first time this year in 2018, and I wanted to share about it with you in this family update! 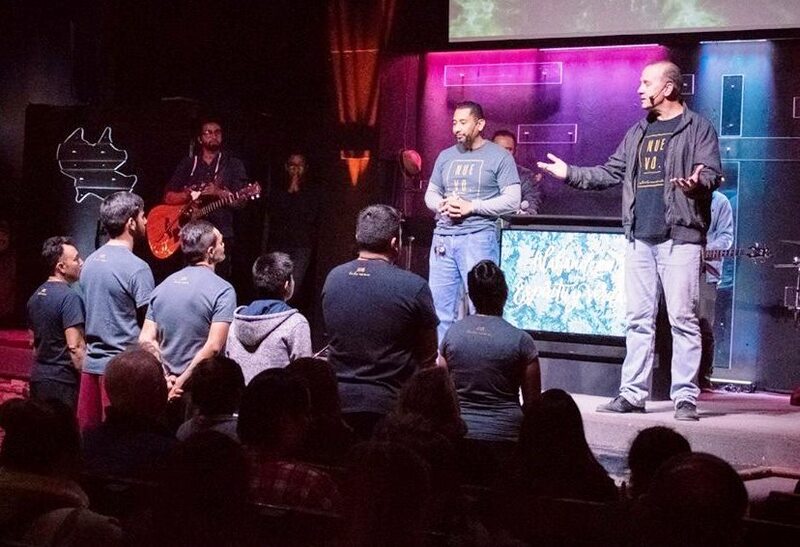 When we started our church planting program over 10 years ago, my dream was that those that we sent out would have a heart to also eventually send out their own church planters. Now I know this takes time (We didn’t send out our first planter until 7 years) but this year, 3 of our church plants have plans to plant their own churches! 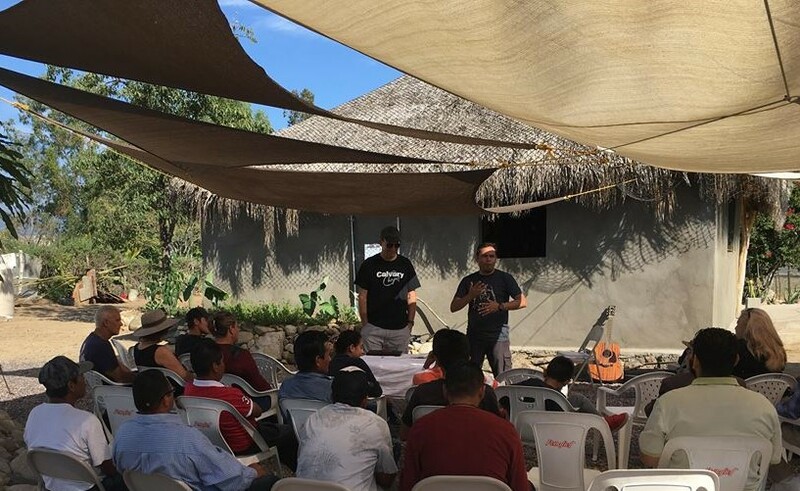 I got to visit two of these new church plants last month as I took a church planting trip to visit the Mexican state of Sinaloa! 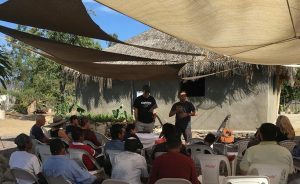 (The home and headquarters of the captured notorious drug lord “El Chapo”) We presently have 3 church plants in the state of Sinaloa. 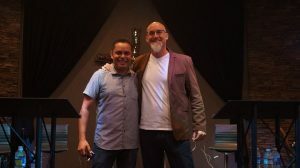 My first stop was to visit my good friend Pastor Hugo Limon and his church plant located in the capital city of Culiacan. 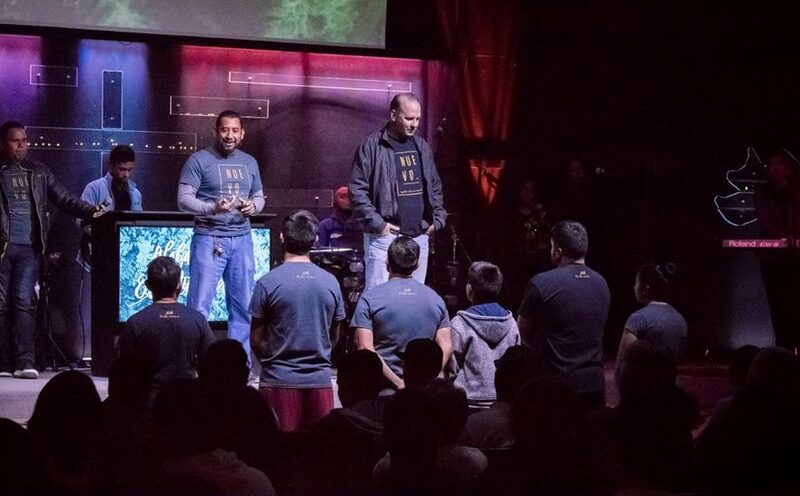 Hugo was sent out back in 2015, and he gave me the privilege to preach and we saw 9 professions of faith during their two Sunday services. 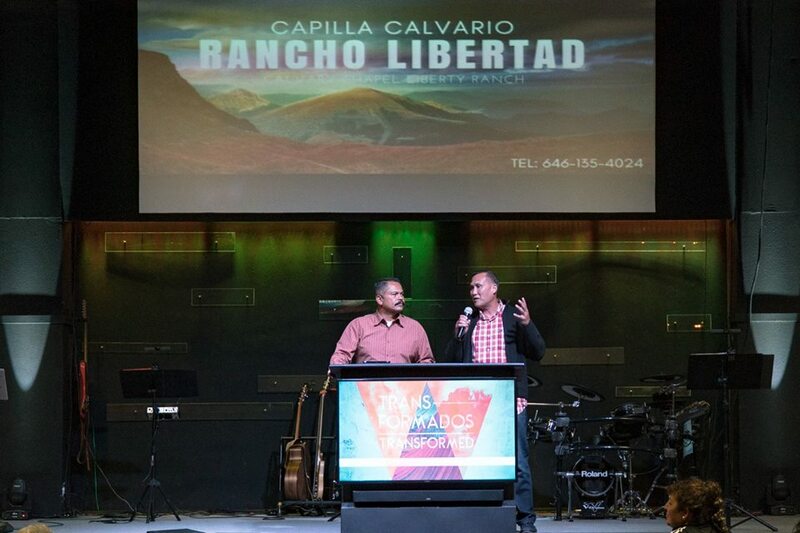 A special highlight was ordaining 2 of Hugo’s assistant pastors. One of those assistants is planning on being SENT OUT later this year, to plant a church about 30 minutes away there in Culiacan. Our next destination was a three hour drive away to the beachside city of Mazatlan to visit our church planters Tony and Angela Carranza and their church Maranatha. We had a wonderful time hosting a “basics of the faith” conference at their church, but our focus was traveling to a town called Escuinapa (population 100,000 about an hour away from Mazatlan) to visit Tony’s recent church plant! Just three months ago, Tony sent out his assistant pastor (Martin Moreno) and family to plant a church in their hometown of Escuinapa. 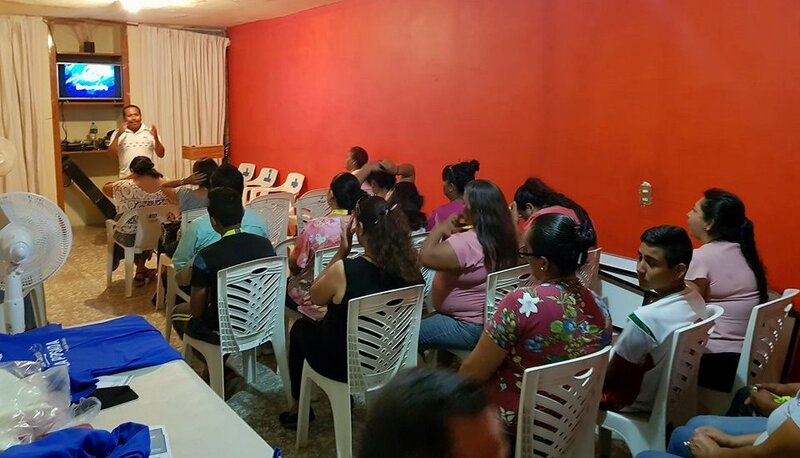 The church is presently meeting in Martin’s home and once again our ministry team taught a “basics of the faith” conference. 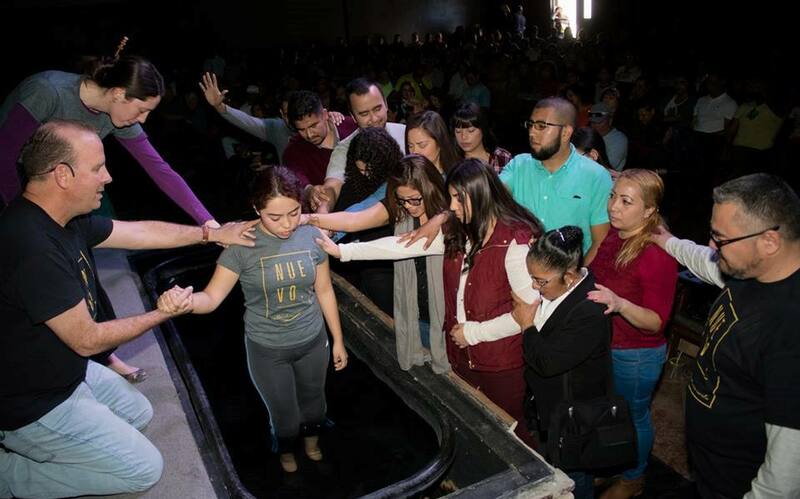 Of the 18 adults in attendance, we got to baptize 5 of them during their churches very first baptism. 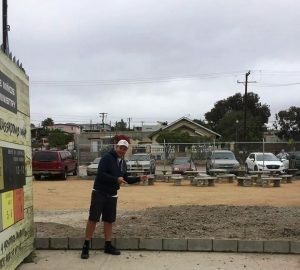 Meanwhile, back at Rosarito I had some friends from our church plant in La Mision (Liberty Ranch, 1 hour south of us, planted back in 2016!) 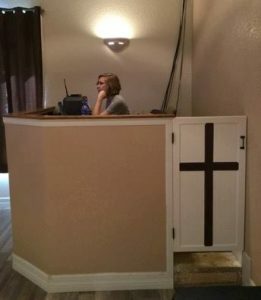 come and visit and speak at our church. We had one of their assistant pastors share about their plans to plant a church later this summer in the famous Big Wave surfing town of Todos Santos located in South Baja! 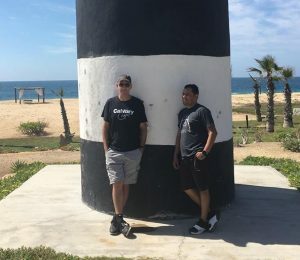 By God’s grace our ministry in Rosarito is supporting all three of these next level church plants that are scheduled to begin in 2018! In the language of church planting, these new church plants are not our daughter churches (those we sent out directly) but our GRANDAUGHTER CHURCHES being sent out by our church plants. I feel like a proud old grandpa seeing our church planters grab the vision to plant their own churches! Seeing this come to pass has been a long time dream of mine, and I am so thankful to the Lord that He has allowed me to see this begin to happen before my own eyes. Ultimately, these church plants and the souls harvested there are your spiritual fruit! 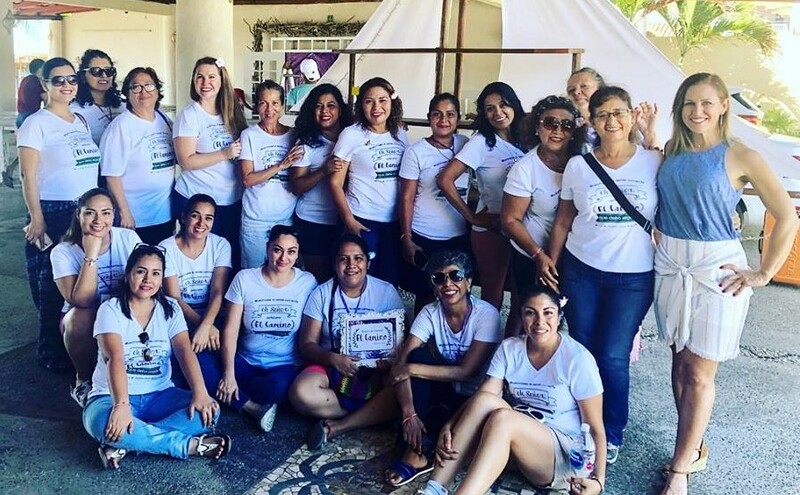 I feel very privileged and honored to partner with you in this great work! Thank you for your love, prayers, and financial support! 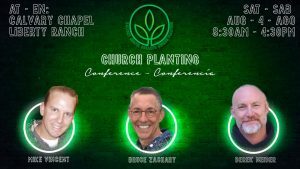 #1- That all three of these church plants would be planted and supported in 2018! 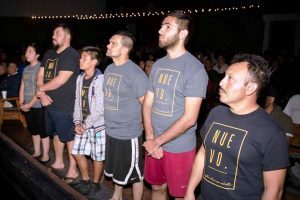 #2- That God would provide for the financial needs of our family and church here in Rosarito! 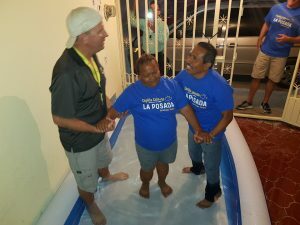 #1- Praise the Lord for our first granddaughter church plant in Escuinapa and for the 5 new believers baptized there in March! #2- Thank you Lord for the privilege and honor of serving Him here with you in the mission field of Mexico! The bible says in 2nd Corinthians 5:17, “if anyone is in Christ, he is a new creation; old things have passed away; behold, all things have become new.” Jesus said that He “came to seek and save the lost”. (Luke 19:10) One of the great blessings we have seen in our ministry is lost and hurting people finding faith and hope in Jesus Christ! So far this year we are averaging over 10 first time professions of faith in our church each week. Now that is very exciting, but to be honest with you, one of the problems we have had in the past is connecting those people that profess faith to our church family. 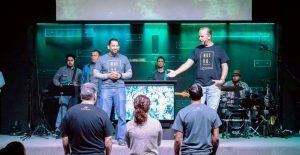 In an effort to meet that need, last year we created a New Believers class. This 4 week course that covers the basics of the faith meet during each one of our four main weekly church services. The four topics that are covered are: #1- Jesus, #2- The Bible, #3- The church, and #4- How to grow spiritually! These courses are taught by four gifted husband and wife teaching teams, and this past week we had 29 new believers of all ages enrolled in these courses. To graduate, these new believers need to not only attend all four classes, but finish up by getting baptized at one of our church’s monthly baptisms. 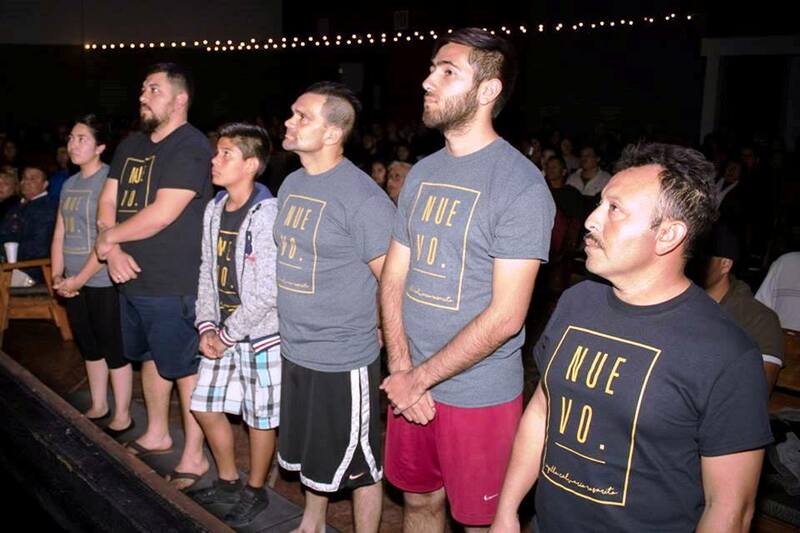 In our two baptisms so far this year, we have had the honor of witnessing 28 baptisms. 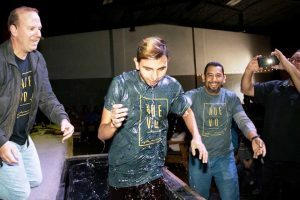 But the most encouraging part of this is that most of those baptized are new believers that have only a month or two in the faith! 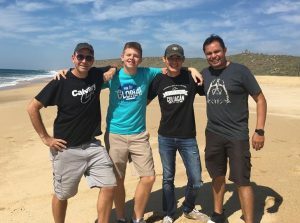 In the rest of this missions update, I wanted to share the testimony of one of these new believers with you. 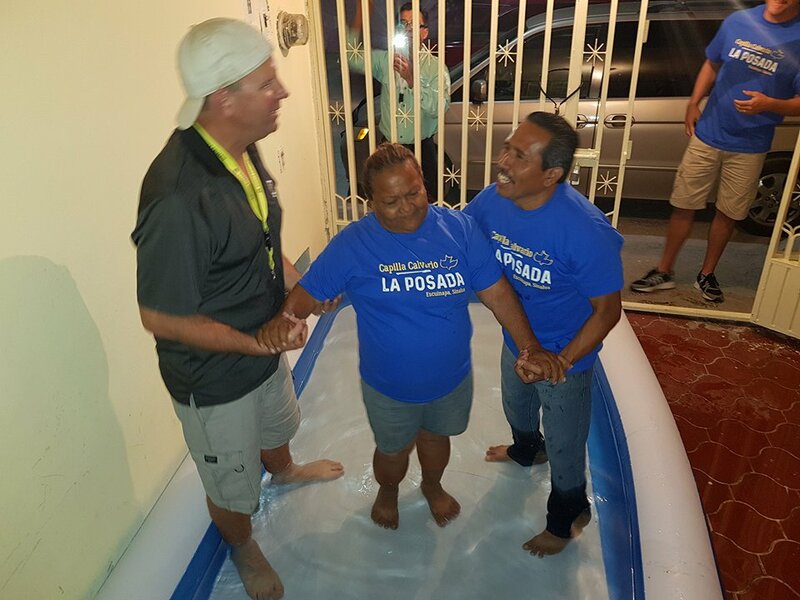 Over the next month, Juan and his wife completed our new believers course and then were baptized together at our most recent baptism. It was such a joyous time to see God restoring what the enemy had stolen. 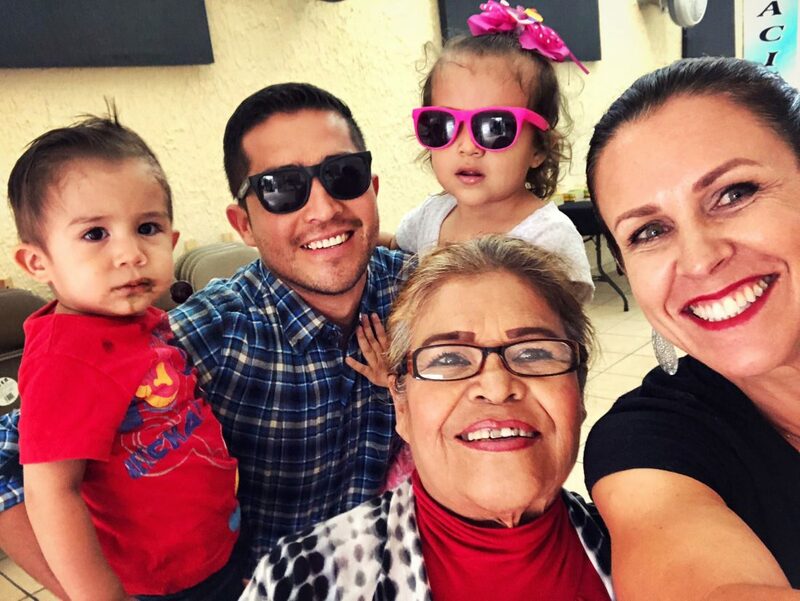 Juan and his family continue faithfully at the church and are also attending our weekly marriage builders study to strengthen their marriage. 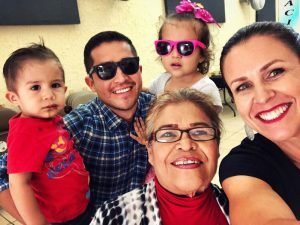 Juan and his family are just one of many that God has allowed us to reach with His love and offer of salvation here in the mission field of Mexico. Thank you so much for partnering with us, we love you! #1- That God would continue to help us plug in and disciple these new believers! #2- That God would provide for the financial needs of our family and church! 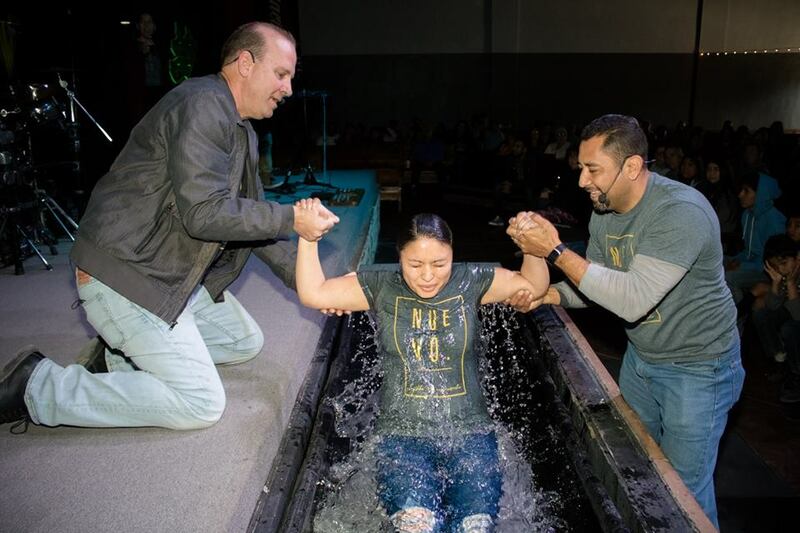 #1- Praise the Lord for our new believers completing the New believers class and getting baptized! Grace Vincent, Mike Vincent, Aaron Smith and Robbyn Smith. 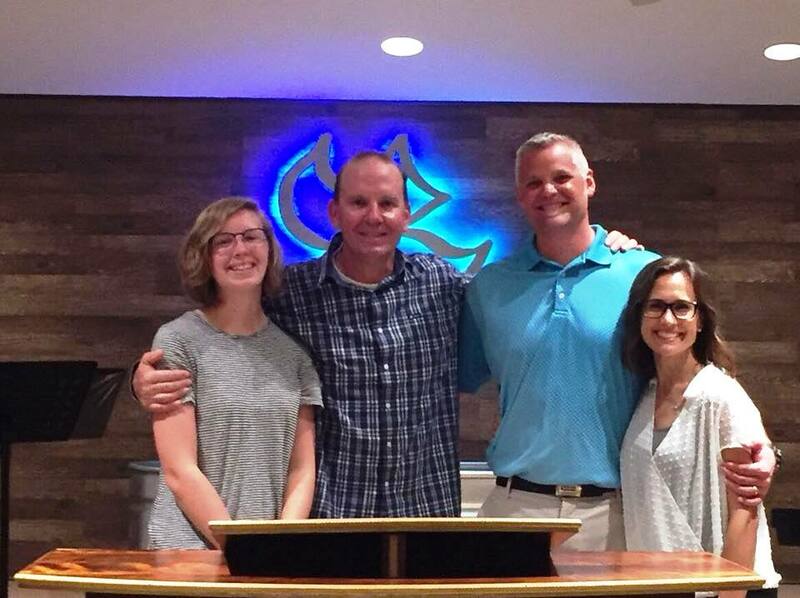 I had a fantastic time this week in Florida visiting our church planters, (Aaron and Robbyn Smith and their daughter Eliana.) 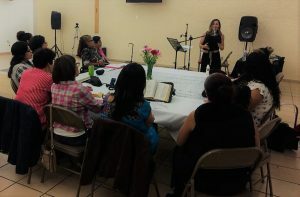 It was amazing to teach at their church and lead worship for their growing congregation! 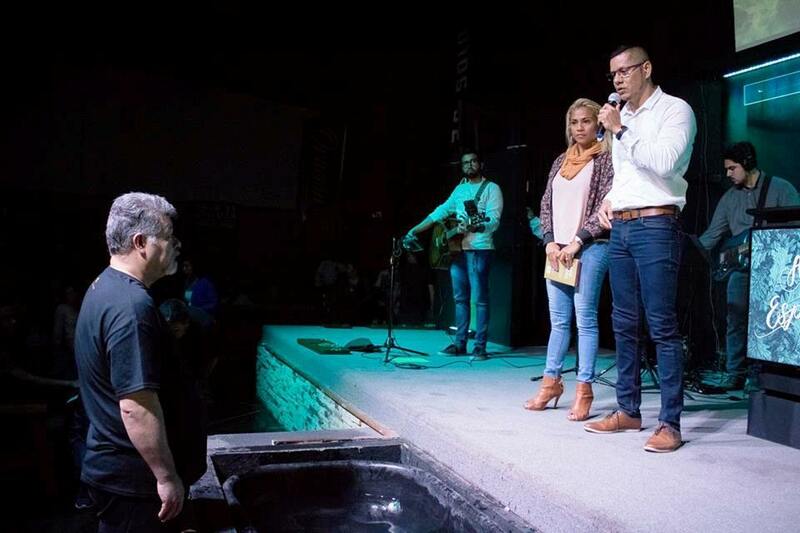 And not only is their church on fire, they are also partnering with our church on four of our Mexico church plants. 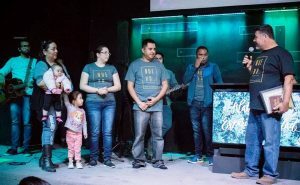 Pase un tiempo fantastico esta semana en Flordia visitando nuestros plantadores de iglesia (Aaron y Robbyn Smith y su hija Eliana) fue increible enseñar en su iglesia y dirigir la alabanza para su congregación que está creciendo! Y no solo esta su iglesia encendida, tambien se estan sumando con nuestra iglesia para apoyar a cuatro de nuestras plantaciones de iglesia en México. 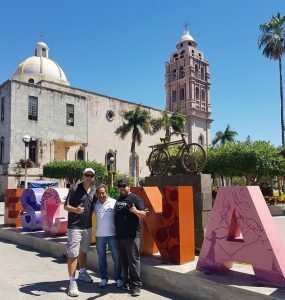 Lo mas especial de la semana fue pasar tiempo con mi hija Grace que me acompaño en este viaje!